As part of our updates to Export Documents, we’ve added a few useful fields to your Contract forms; Fumigation and Place of Loading. 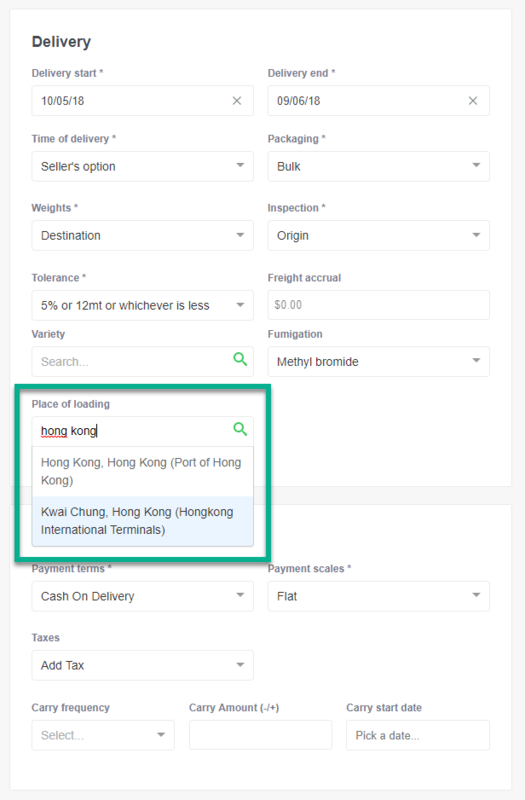 These fields are most relevant for your Export contracting however, they will appear as non-mandatory fields in the “Delivery” section when creating ALL Contracts. 1. Fumigation: You can simply select fumigation details (i.e. 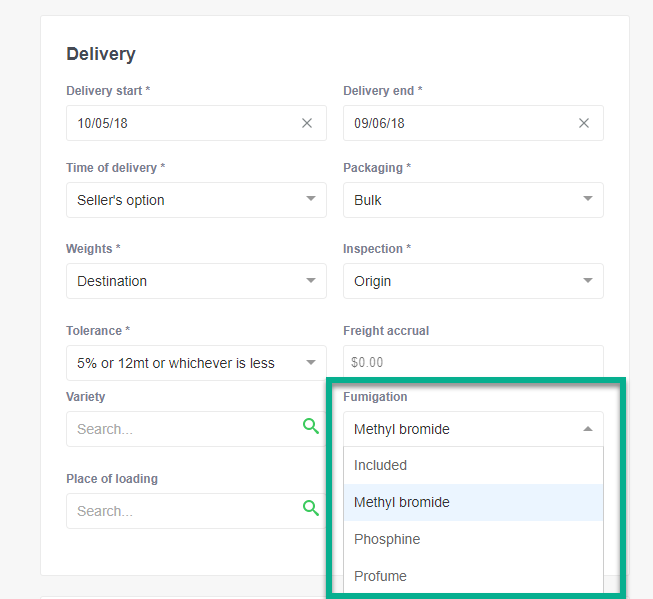 Methyl Bromide) from the drop-down when creating or editing your Contract. This field will only display on the form if a value is entered. 2. Place of Loading: You can search and select any Port as a Place of Loading on your Contract (e.g. Kwai Chung, Hong Kong (HongKong International Terminals). We hope these form enhancements will assist the accuracy and detailing of your export Contracts within AgriDigital. 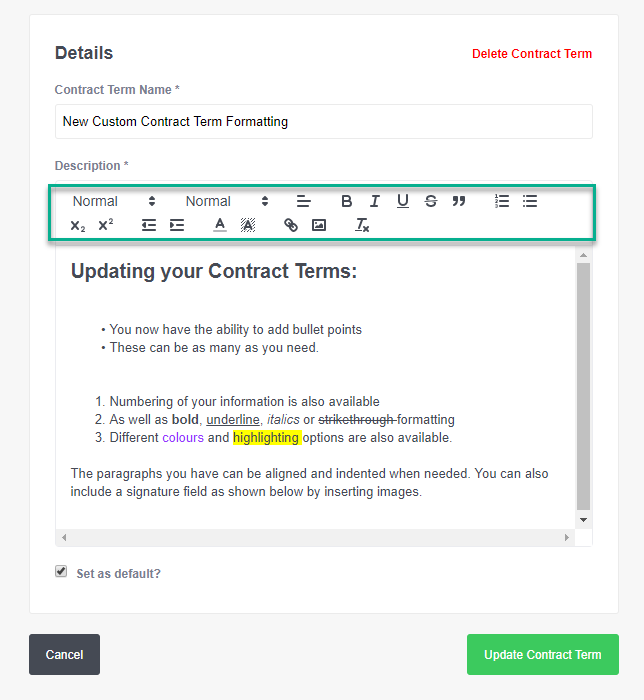 In addition to the above Contract update, we have added Custom Formatting to your Contract Terms. The formatting tool will allow you to create customised terms more efficiently and effectively, reflecting your company’s professionalism.